Captain (Temporary Major) Charles Cadwaladr Trevor-Roper, 8th (attached 14th) Battalion, Hampshire Regiment. Charles was born on 9 February 1884 in Mold, Flintshire. He was the eldest son of George Edward Trevor-Roper and his wife Harriette née Trevor-Roper of Rhual Isa, Mold. Despite being the eldest son he was actually his parents tenth child having no fewer than nine elder sisters: Alice Marion (born 1868), Mabel (1871), Helen (1873), Norah (1874), Winifred (1876), Violet (1878), Eveleen (1880), Florence (1881) and Gwendoline (1882). He also had a younger brother, Geoffrey (1885). His father, George, was a solicitor with a practice in Mold, close to his father’s estate of Plas Teg. 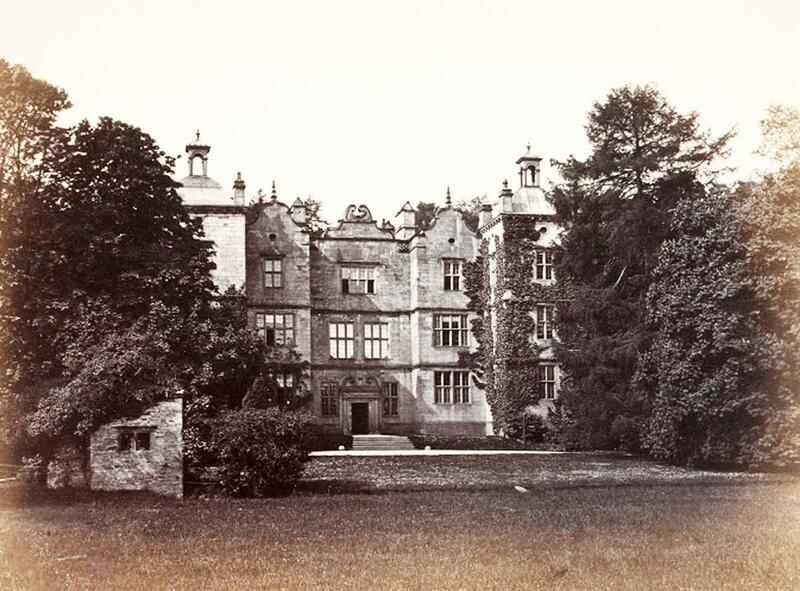 George’s eldest brother Charles James Trevor-Roper inherited the estate and the Jacobean mansion. In 1895 George died and Harriette moved the family from Wales to 17 The Crescent, Bedford, from where Charles and Geoffery attended Bedford Modern School. In 1901, aged 17, Charles moved school to Bedford School; that same year his uncle Charles, died without children and Charles inherited the Plas Teg estate. It was Plas Teg that led to the family’s adoption of their double-barrelled surname. When Charles’ great-grandfather, Cadwaladr Blany Roper inherited it from his cousin the Dowager Lady Dacre, he added her family name, Trevor, to his own. After school Charles went to Clare College, Cambridge and then on to the Academy of Dramatic Art in Gower Street, London. Despite being a major landowner in Flintshire, Charles had caught 'stage fever' – he wanted to be an actor. However, he did not neglect his estates, spending enough time in Flintshire to join the local militia, the 2nd Volunteer Battalion, Royal Welsh Fusiliers into which he was commissioned as a 2nd Lieutenant on 12 September 1906. On 1 April 1908 this battalion became part of the Territorial Force in 1908 as a result of the Haldane reforms of the army. Their new designation was the 5th (Flintshire) Battalion, Royal Welsh Fusiliers. Later that year, on 29 September, Charles was promoted to Lieutenant and to Captain on 31 January 1910. However, he does not continue this military sideline relinquishing his commission on 26 October 1910. It is not clear whether he lived in the mansion house, which was advertised to let on numerous occasions both before and after he came of age (an occasion marked by a dinner for his tenants at the Black Lion, Mold) and took control of the estate. The house was certainly let to at least one private tenant before becoming, for a short period, a private lunatic asylum. Today Plas Teg house is a tourist attraction making much of a claim to be one of the most haunted houses in Wales. It seems that his decision to resign from the Territorials was a result of achieving some success in his acting career. He caught the eye of Harry Irving (son of the far more famous Henry) who, like his father was an actor/manager, and who recruited Charles into his company playing first in London and then touring in Australia in 1911. The mainstay of their touring repertoire was Hamlet (played by Irving), in which Charles played Guildenstern. A tour to Australia was no small commitment; they were away from England for over a year, making it impossible for Charles to remain in the Territorials. The Irving company arrived back in London in mid-1912. Many a young actor making their way on the stage would live in straightened circumstances; with the Plas Teg estate behind him, Charles had no need to struggle, he bought or, more likely, leased a very pleasant London residence at 39 Redcliffe Square, Kensington. Irving toured in South Africa in 1913, but Charles did not go with him on this tour, he had more important things in mind. On 8 April 1913 he married Gertrude Alice Clabby at St Andrew’s, Enfield. At a meeting of his tenants at Hope, near Plas Teg, Charles was presented with a watch engraved “C C Trevor-Roper Esq, on his marriage, from a few of his tenants, 8th April 1913.” This watch was sold in 2012. On 7 January 1914 Gertrude gave birth to their first child, Elizabeth Alice, in Newbury. 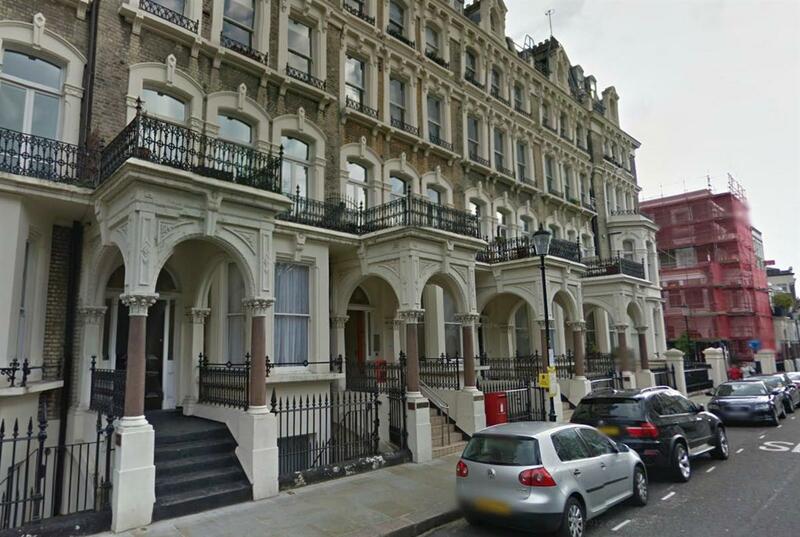 Charles’ mother Harriette had moved to a house at 11 Donnington Square, while Charles and Gertrude leased 5 Donnington Square. Perhaps Gertrude enjoyed the support and company of her mother-in-law while Charles was touring with Irving, or perhaps Charles liked to have his wife close to provide support for his aging mother? Charles was back with Irving’s troupe when war broke out in 1914. Charles did not rush to join the colours, continuing to act, notably as ‘Captain Felix’ in The Grande Seigneur at the Savoy Theatre. This play had a successful run of 88 performances from 4 October to 20 December. However, he did not totally neglect his patriotic duty. Instead of joining the army he joined a volunteer group called the United Arts Force (UAF); this was one of many unofficial volunteer groups that were formed in the early months of the war. Eventually the government had to act to regulate and formalise these groups as the Volunteer Training Corps. Charles’ experience with the Welsh Fusiliers meant that he became a leading member of the UAF as they drilled in the grounds of the Earls Court Exhibition in their ‘uniform’ of white sweaters. His dalliance with the UAF was short-lived; even before The Grande Seigneur ended its run Charles took a commission as a Captain in the 8th (Isle of Wight Rifles) Battalion of the Hampshire Regiment. It seems likely that he was persuaded in this path by another member of the UAF. Major C L Willoughby Wallace, late of the 1st Royal Irish Rifles was appointed/elected adjutant of the UAF in September 1914 and became its commandant on 6th November after the departure of their first commandant on appointment to command a battalion in Kitchener’s New Army. At the same time Charles became Adjutant. In December Major Willoughby Wallace was also on the move – appointed to command the 2nd/8th (Isle of Wight Rifles) Battalion, Hampshire Regiment. Charles’ commission in the same battalion must surely have been down to Willoughby Wallace’s influence; no doubt he wanted a familiar face alongside him as he built up what was, largely speaking, a new battalion. The 8th Battalion of the Hampshire Regiment was the Isle of Wight element of the Territorial Force. In September 1914, like all Territorials, the men of the battalion would have been asked to volunteer for overseas service. Under the terms of their enlistment they could not be ordered overseas as they were only committed to service on home soil. Many Territorials responded to the appeal by agreeing to go overseas and signed waivers to that effect, but somewhere around 30% of them declined to do so. The volunteers were separated from the remainder and formed into what became the ‘first line’ units of the Territorial Force distinguished from their fellows who opted to remain on home service in ‘second line’ units. The battalion was, therefore, split into two – the 1st/8th and 2nd/8th. Most of the officers volunteered so there was a huge and immediate demand for experienced officers to lead the second line units. The 2nd/8th Battalion of the Hampshire Regiment remained on the Isle of Wight manning the coastal forts. Their life was a settled one; Charles was able to bring Gertrude over to join him and it was in Shanklin that she gave birth to their son, Richard Dacre, on 19 May 1915. All changed in 1916: the Military Service Act in January removed the restriction on the deployment of Territorials as well as introducing conscription – from this time on many second line units were sent to fight. 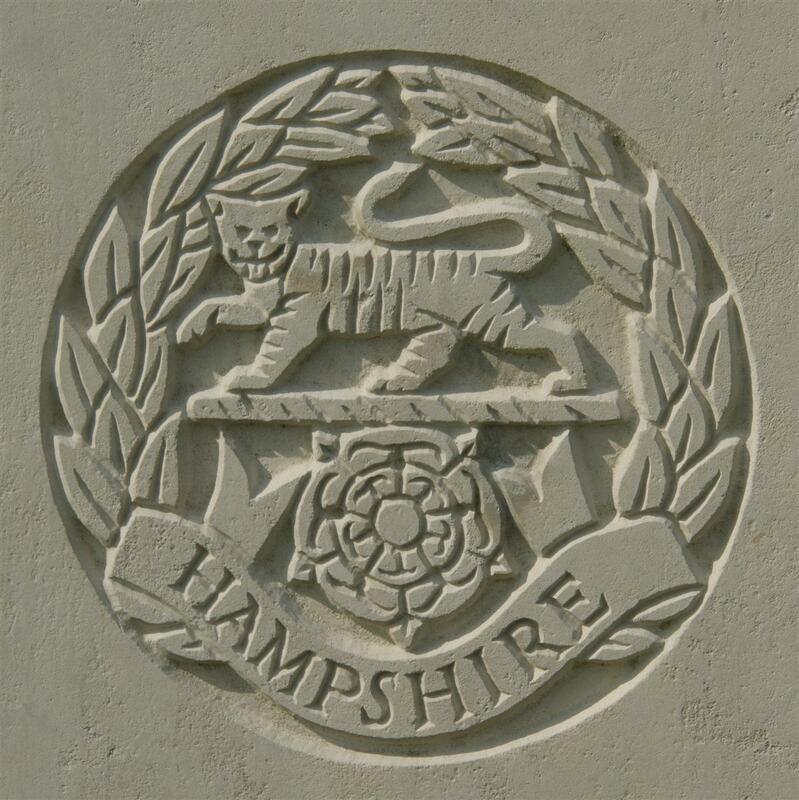 However, the 2nd/8th Hampshires never crossed the channel as a unit. On 1 April 1916 they were absorbed by the 4th (Reserve) Battalion, Hampshire Regiment and were sent to reinforce the regiment’s battalions in the field as required. Thus it was that Charles crossed the Channel in September 1916 with a group of officers bound for their 14th Battalion. 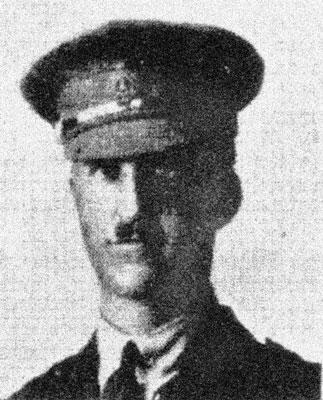 It is believed that he was among eight officers who joined this battalion in the field on 21 September 1916. Meanwhile Gertrude had returned to Newbury, where she gave birth to their second daughter, Anne, on 10 September 1916. The gap between the birth and Charles’ arrival at the front means that he may have had the opportunity to see his newborn child before he left for France. Charles’ performance at the front evidently satisfied his superiors – he was appointed Temporary Major in the field when he became second-in-command of the Battalion for a period beginning 1 January 1917 and again for eleven days in March 1917, on each occasion reverting to Captain when he passed on the responsibility. 31st July 1917 Zero 3.50 a.m. Advanced from assembly positions, passed through 11th Royal Sussex Regiment on Blue Line, attacked, captured and consolidated Black and dotted Black Lines at FALKENHYN REDOUBT. From there advanced onto Alberta and dotted Green Line on east of STEENBEEK which were captured. Here troops of 118th Infantry Brigade passed through to capture solid Green Line. Company on East of STEENBEEK retired with 118th Infantry Brigade on night of 31 July / 1st August. Captured two Field Guns and one 4.5 Howitzer, 17 Machine Guns & over 200 prisoners. Casualties: Killed: 2/Lt D.G.W Hewitt; 2/Lt J.K. Falconer; Wounded:- 2/Lt N.F. Tyler; 2/Lt G.H. Peet; Lt C. Chevallier; Capt. A.D. Gammon MC; 2/Lt P.H. Collis (Died of wounds). OR, killed 17; died of wounds 1; wounded 156; missing 42. 1st August 1917 Line of Steenbeek reoccupied at NOON. Casualties OR – 3 killed, 1 died of wounds, 22 wounded, 1 missing. 2nd August 1917 Troops on Steenbeek withdrawn 100yds west from MN to 1AM to allow of bombardment to recapture St Julien. Relieved by 11th Royal Sussex Regt in Front line and occupied dotted blue line in support. Casualties 8 killed, 15 wounded, 1 missing. 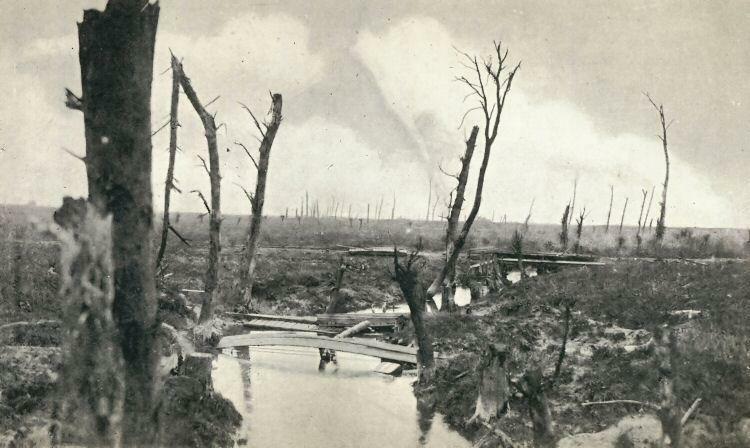 This was the opening engagement in the 3rd Battle of Ypres, better known by the name of a later stage of the overall battle - the Battle of Passchendaele. 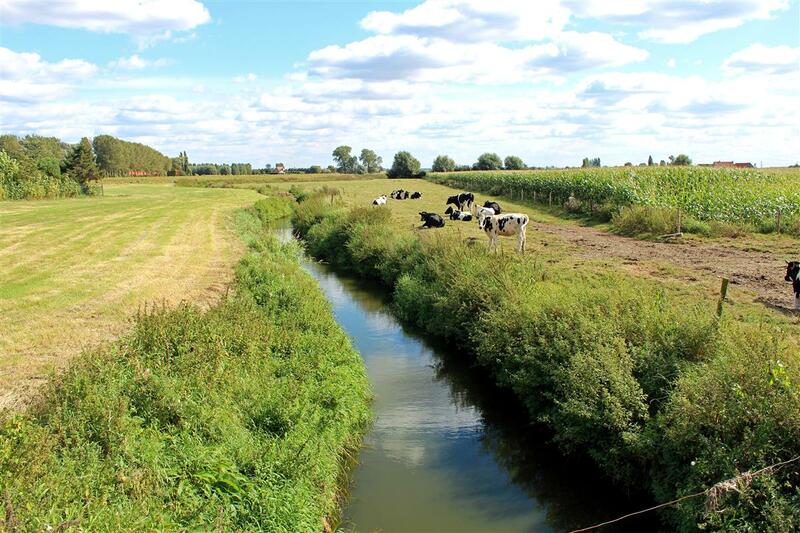 The Steenbeek mentioned in the diary is a stream/drainage ditch that was much fought over during the nightmare that was 3rd Ypres. Charles (once again acting Major) died of wounds on 3 August 1917 and is buried at the Dunhallow ADS Cemetery a short distance to the north of Ieper. It is not known what specific part he played in the action, nor how he was wounded. The battalion’s war diary is generally poor when it comes to naming casualties, the 31 July entry is unusual in the context of this battalion in naming fallen officers (though the practice was commonplace in other battalions); so it is likely that he was one of the ‘15 wounded’ reported on 2 August. However, the regimental history suggests that he was wounded on 31 July. If this was the case it seems amazing that he was not listed in the war diary entry for that day among the officers wounded or missing. The Dunhallow ADS was an Advanced Dressing Station – the second stage of the chain of medical facilities that began with first aid posts in the front line. ADSs were established by Field Ambulance units near the front line, in a busy period they would deal with hundreds of casualties a day (eg. an ADS at Hooge Crater, not far from Dunhallow, treated 3395 wounded men in the period 1 to 14 August 1917). Wounded would not spend long at an ADS, from these they would be taken, as soon as practicable, by ambulance to a Casualty Clearing Station (a field hospital) or to a nearby plot of land for burial. That he died at an ADS suggests his death occurred soon after he was rescued from the battlefield. This could be taken as evidence that he was wounded on 2 August, but he could easily have still been at the ADS for several days. Ironically his permanent promotion to the rank of Major was promulgated in the London Gazette on 17 August - with the effective date of 9 August 1917, six days after his death. Captain Trevor-Roper, Hampshire Regiment, who died on August 3rd, of wounds received in action, was the elder son of the late Mr G E Trevor-Roper, of Rhual Isa Mold, and Mrs G E Trevor-Roper, of 11, Donnington Square, Newbury, and succeeded to the Plas Teg Estate, Flintshire, on the death of his uncle, Col C J Trevor-Roper, in 1901. He was educated at Bedford School and Clare College, Cambridge, was formerly a Lieut in the Royal Welsh Fusiliers, and soon after the announcement of the war obtained a commission in the Hampshire Regiment, and went to France in September 1916. He leaves a widow (daughter of Lieut William George Clabby, formerly Assistant Inspector General Indian Police) and three children. Captain Trevor-Roper was gazetted Major a few days after his death. On the day Charles’ death was announced in the North Wales Chronicle the birth in Cheltenham of his cousin Ranulph Dacre Trevor-Roper’s daughter was announced in the same column. 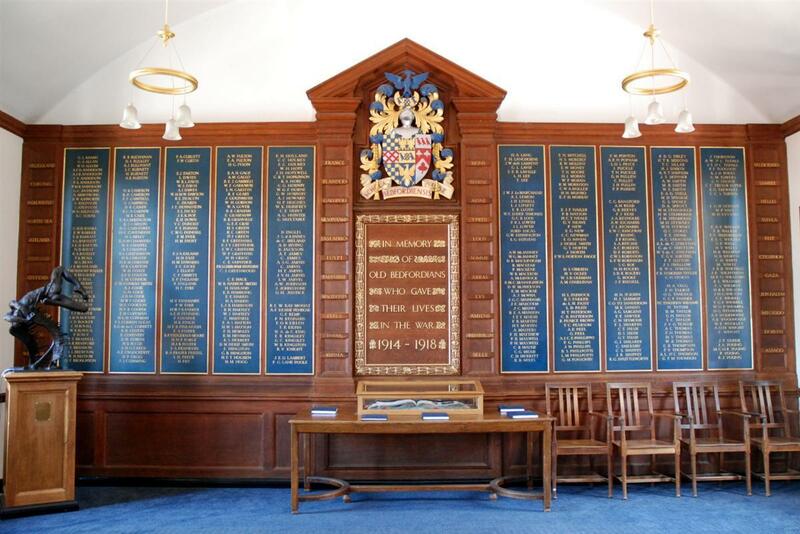 Charles' name on Newbury War Memorial above that of his brother, Geoffrey. Locally Charles is remembered on the Newbury Town War Memorial and the Speenhamland Shrine. He is also remembered on a remarkable number of other memorials: Bedford Modern School, Bedford; Bedford School, Bedford; Clare College, Cambridge; Green Room Plaque to London actors; Isle of Wight Rifles Memorial, Carisbrooke Castle, Isle of Wight; Isle of Wight Rifles Memorial, Drill Hall, Newport, Isle of Wight; Hope War Memorial, Flintshire; Mold War Memoral, Flintshire; and Caergwrle War Memorial, Flintshire. They may well be more personal family memorials in the churches on his Welsh estate. Charles' brother Geoffrey also served in the army and died in the 3rd Battle of Ypres a few weeks after Charles. 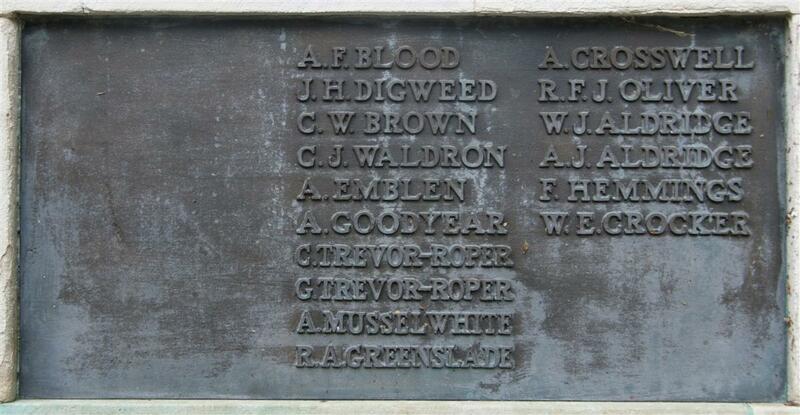 22 January 1918 Gadawodd y diweddar Capten C C Trevor Roper, Plas Teg, Fflint, eiddo gwerth 72,649p. Bu farw o’i glwyfau yn Belgium ym mis Awst diweddaf. Death duties would take a significant part of this, and, during the agricultural depression of the 1930s Charles’ son, Richard, sold the Plas Teg estate. In the 1950s the mansion house returned to Trevor-Roper ownership when Charles’ first cousin, once-removed (the son of his first cousin), Patrick Trevor-Roper purchased the derelict house and carried out some repairs before selling it in 1977. Patrick was a well known ophthalmic surgeon and gay rights activist at a time when homosexuality was illegal and gay still meant ‘light-hearted and carefree’. His elder brother Hugh (Lord Dacre) was a well known historian whose credibility was seriously damaged when he authenticated the Hitler diaries, which were subsequently shown to be forgeries. The Trevor-Roper surname appears to be unique to this family. All six servicemen of this name, three from each world war, who are recorded in the Commonwealth War Graves Commission’s Debt of Honour database are related. Charles’ son, Richard Dacre Trevor-Roper, served in the RAF in WW2, most notably as the rear gunner in the Lancaster piloted by Guy Gibson on the famous Dambusters raid on the night of 16/17 May 1943. For this exploit he was awarded the Distinguished Flying Cross to go with the Distinguished Flying Medal he had earned prior to being commissioned. He died on a raid over Germany on 31 March 1944, aged 28. He was buried in Durnbach War Cemetery.